You certainly can’t fault Jean-Claude Biver for a lack of commitment to bombast. Before an audience last month of press and watch industry players, gathered at the Zenith Watches manufacture to witness horology’s latest technical breakthrough, the overlord of LVMH watch brands had the air of a Baptist preacher, bellowing exuberantly into a microphone as he paced the stage. 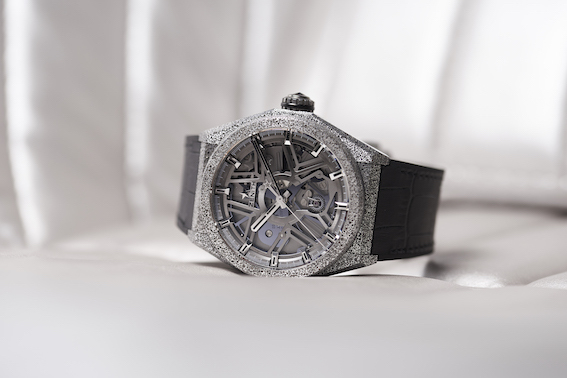 The 342-year-old orthodoxy being overturned in Zenith’s new watch, the Defy Lab, centres around the work of Christian Huygens, the 17th century Dutch mathematician and scientist who came up with the idea of a spiral hair spring and oscillating balance wheel to regulate the action of a watch movement – the speedy oscillations can still be seen at the heart of any mechanical wristwatch. The Defy Lab does away with the balance and hairspring, along with the lever escapement whose impulses they control, replacing these with a single component etched from silicon: the Zenith Oscillator. Circular in form, it contains a spindly, complex network of flexing blades and thicker arms. Affixed to a regular Zenith movement, this entire structure oscillates away as a whole – to headache-inducing effect in the 10 open-dial models in which it was unveiled – replacing in one go around 30 components that conventionally require assembling, testing, adjusting and lubricating. The results are staggering. 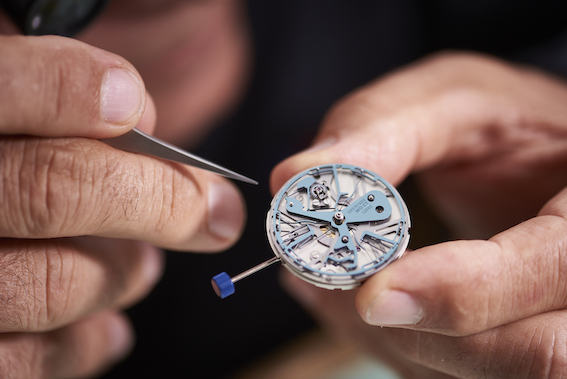 Accurate to around 0.3 seconds a day, compared to the -4/+6 seconds a day required for “chronometer”-rated watches, it becomes the world’s most accurate mechanical watch. 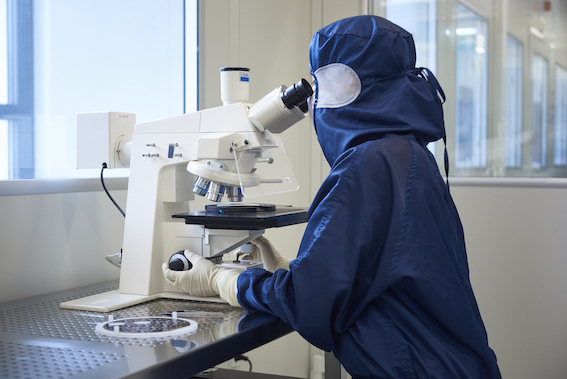 It also exhibits the other benefits of silicon components, including imperviousness to temperature changes and magnetism, and the lack of requirement for oil lubrication. Of course, it may be pointed out that relying on a singular wonder component, created in a lab by Deep Reactive Ion Etching (DRIE), also does away with a considerable amount of skilled watchmaking – the element, so we are told, that attracts people to luxury watches in the first place. Biver, however, is never less than resolutely forward-looking, and the wider appetite for Zenith’s new tech – and for futurism in traditional watchmaking – will become clear as the brand rolls out it out in new models next year (the 10 watches on launch were pre-sold one-offs). Long-term watchophiles will recognised the name Biver mentioned in his speech: Guy Sèmon, a mathematician and former fighter pilot, leads a team previously responsible for several technological breakthroughs at TAG Heuer, though these remained either mere concepts, or collector pieces made in tiny numbers. Tellingly, Sèmon’s team has now been given a group-wide remit, and rechristened the “LVMH R&D Institute”. In that sense, while launched at Zenith, attached to a famous Zenith movement – the high-frequency El Primero – and named the Zenith Oscillator, the new technology does not come from within Zenith; indeed, the theoretical heavy-lifting was outsourced to Belgium’s Leuven University and Lausanne’s CSEM research institute. Does this matter? If sales meet LVMH’s hopes, then surely not – you remember who scored, not who supplied the pass. Meanwhile, models for TAG Heuer and Hublot are already being readied. But most remarkably, Biver doubled down on his assertion that this represents the future of watchmaking by announcing an intention to sell the Zenith Oscillator to all-comers within the Swiss watch industry. This, one suspects, is as much a challenge as an invitation.